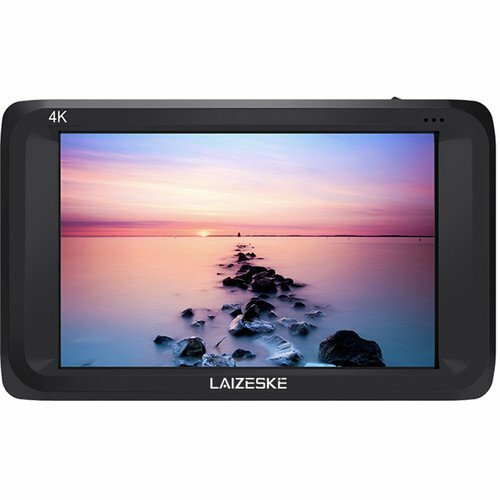 The 4.5″ 280 x 800 3G-SDI 4K HDMI On-Camera IPS Monitor from Laizeske features an 8-bit IPS LCD panel with 160°/160° viewing angle. 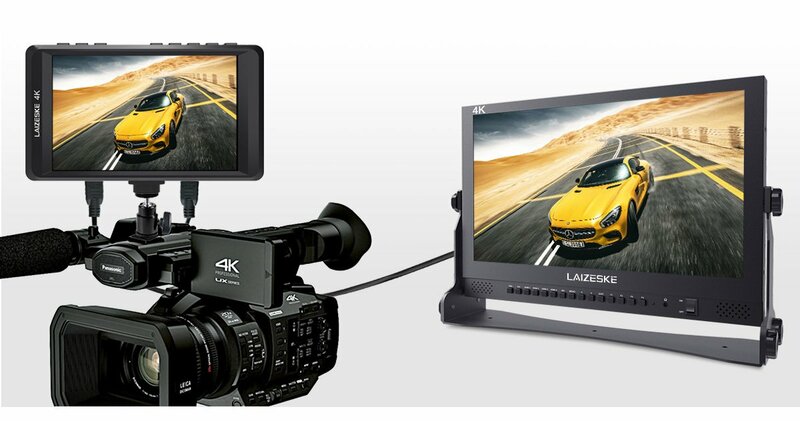 This portable on-camera monitor features 3G-SDI and 4K HDMI inputs for connecting professional SDI and HDMI cameras. It also includes an SDI output, allowing it to display while sending live signals to other monitors simultaneously. 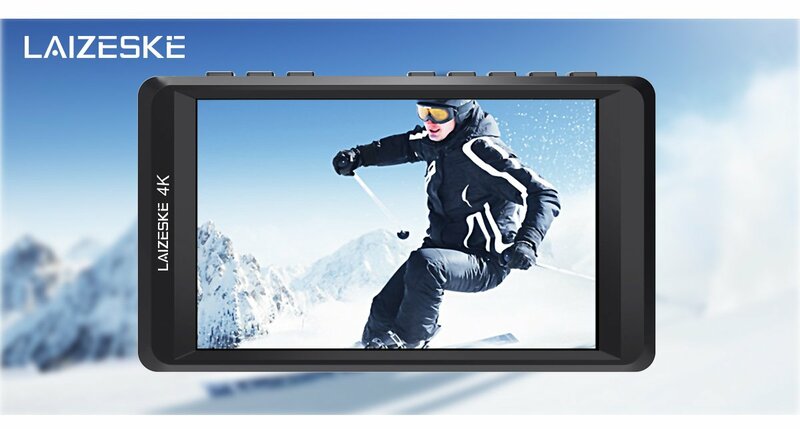 It can display the video on multiple displays at once while maintaining the original signal quality. You can also monitor audio using the 3.5mm stereo headphone jack or the built-in speaker. 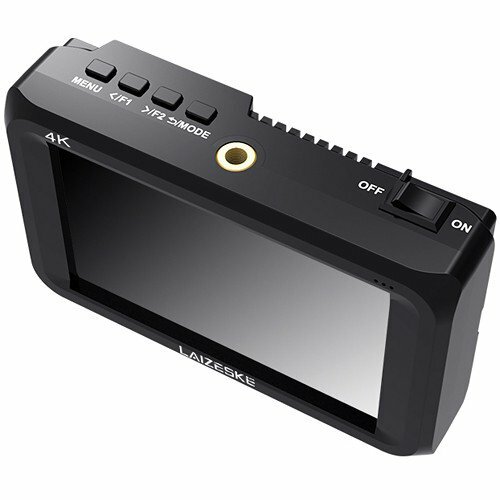 Equipped with three 1/4″-20 threaded holes, this monitor can be mounted on a DSLR’s hot shoe, or attached to an articulating arm on a stabilizer, camera rig, or production crane. It can be powered via its 12 VDC connector, or using the included L-series type battery plate. 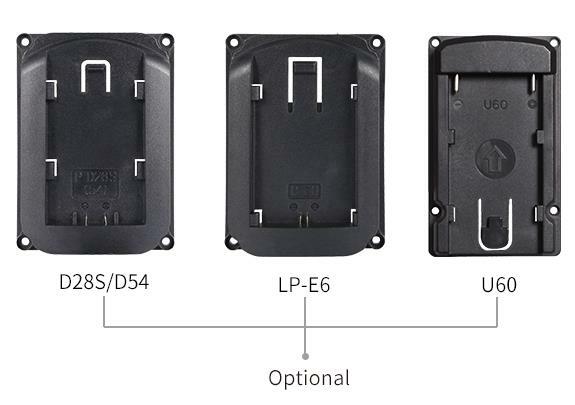 Batteries and additional battery plates (D28S/D54, LP-E6, U60) are sold separately. When the peaking filter is activated, the internal processor displays a colored highlight on the screen where sharp edges appear. It shows red highlights over parts of the monochrome image in focus. This feature allows you to flip the image vertically, horizontally, or both vertically and horizontally together. 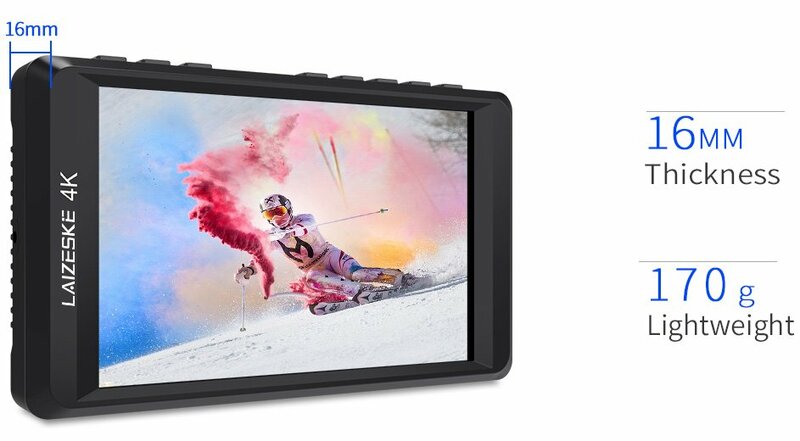 Box Dimensions (LxWxH):	8.0 x 5.0 x 3.1"
Now it's easy to get perfect focus and framing! 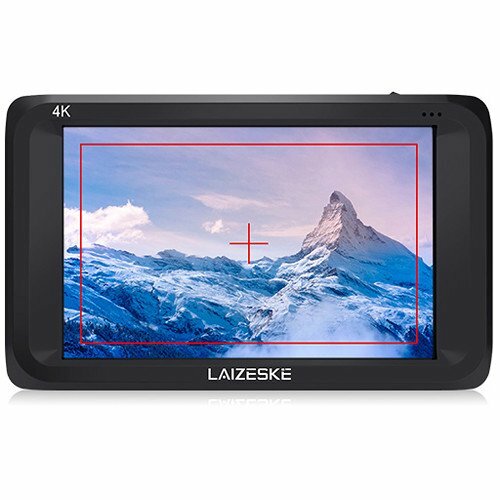 LAIZESKE DRF45 monitor is ideal for high end broadcast monitoring because they feature high quality focus assist function, also includes check field, image freeze, image flip, center marker, safe frame, color temperature adjust, assist users to accurately monitor when shooting, making and playing movies/ videos. LAIZESKE DRF45 is jam packed with features in a small, lightweight package, so it's easy to hold in your hands. 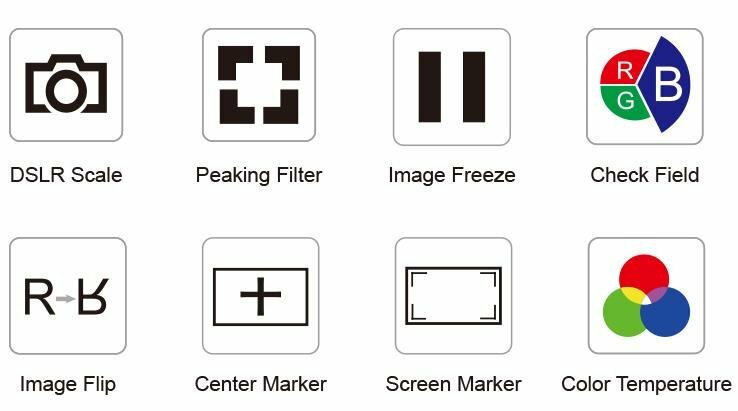 Whether it's a wedding, an indie film, or a television commercial, you need to make sure your images are perfectly sharp and captured at the highest possible quality, no matter what type of camera you use. 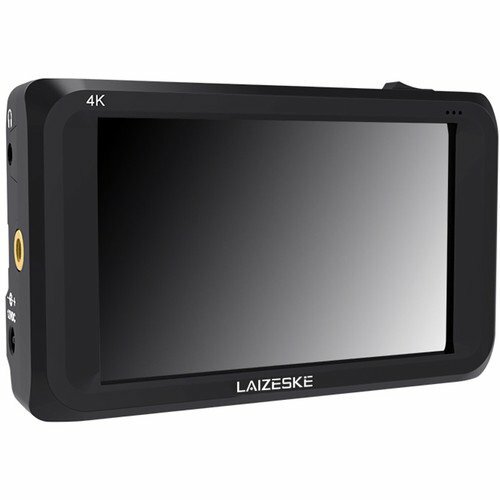 LAIZESKE DRF45 helps you make sure every shot is in focus and gives you professional images with the same recording quality used by major motion pictures and prime time TV shows! 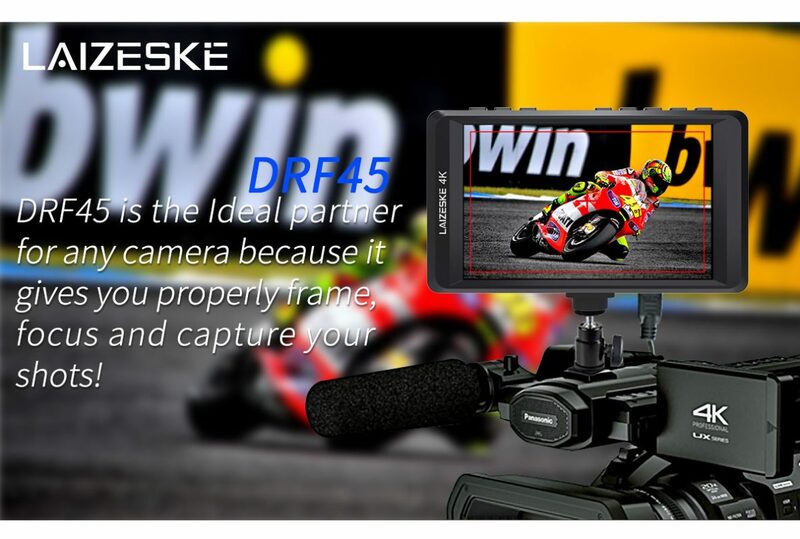 LAIZESKE DRF45 delivers amazing picture quality in an incredibly thin lightweight design. The wide 160° viewing angle makes it easy for multiple members of the crew to watch it at the same time. LAIZESKE DRF45 is jam packed with features in a small, lightweight package. 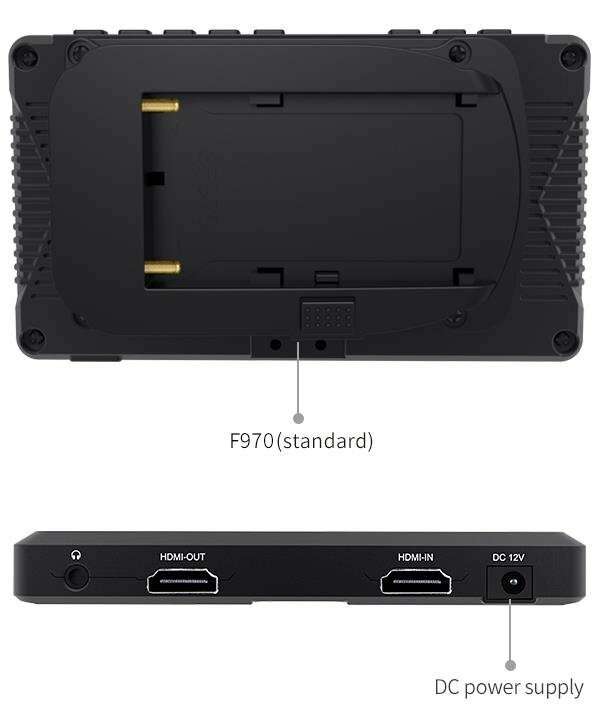 It is equipped with 4K HDMI input and output interface, so you can connect monitor to various 4K camera, you can also 4K HDMI video signal synchronization output, convenience director and photographer monitoring at the same time. You can also monitor audio using the 3.5mm stereo headphone jack. 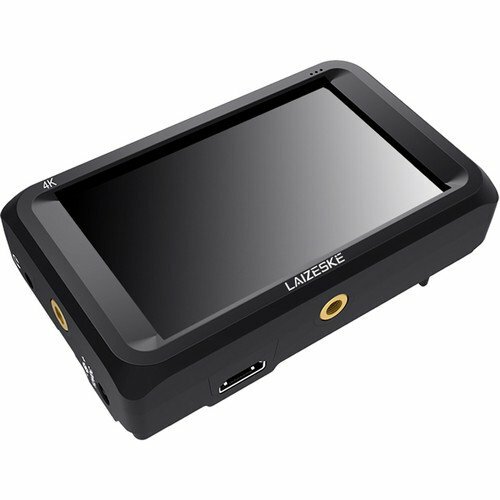 The DRF45 has both HDMI in and loop-out, allowing it to not only display live signals, but also send them out to other monitors simultaneously. It's the ability to display live picture on multiple displays at once while still maintaining the original video quality. Watch the way you want to. LAIZESKE DRF45 features standard 1/4" mount points for attaching it to cameras and rigs. For power, there's a 12V DC input on the side and space for a battery plate on the back. When connected to the 12V DC input you get continuous power or you can run it off of compatible rechargeable battery. 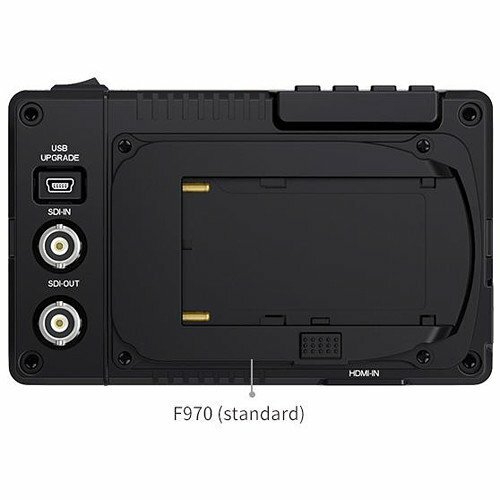 And the DRF45 supports F970 (standard), D28S/D54, LP-E6 and U60 battery plate of your choice.